or the Malagasy Republic, is an island nation in the Indian Ocean, some 400 kilometres off the south-east coast of Africa. 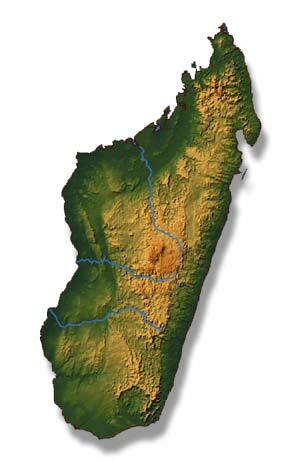 Madagascar is the fourth-largest island in the world. The island measures 1600 kilometres from north to south, and 580 kilometres from west to east at its widest point. Which means the surface equals that of France and the Benelux together. Antananarivo is the capital. Other main cities are Toamasina, Fianarantsoa, Mahajanga, Toliara, Antsiranana. The tropical climate takes different forms: from very humid in the east (up to 7 metres of rainfall annually) to very dry in the south west (400-500 millimetres rain annually), with a cool climate on the plateau in the middle. Fauna and flora differ accordingly, and is spectacular in all parts of Madagascar. Probably, people arrived at the island about 2000 years ago, presumably from Southeast Asia. Today’s population has Southeast Asian roots, mixed with African and Arabian influences. The population has grown to about 20 million today, united by their language, Malagasy, which is spoken all over the island with only minor differences of dialect. French is the other two official language. 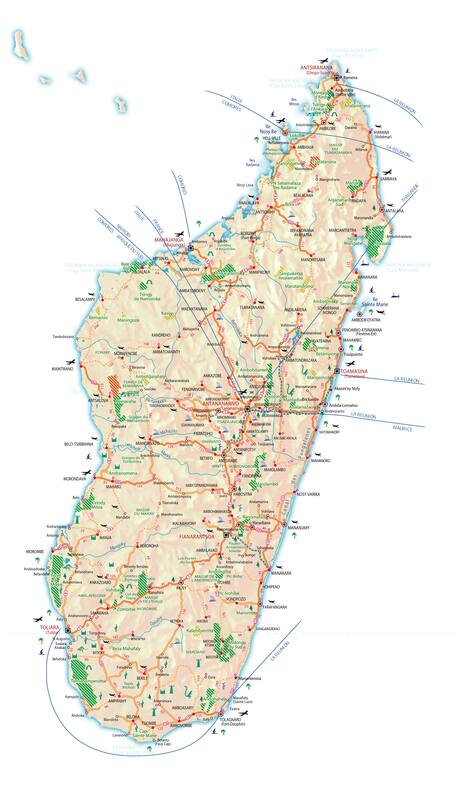 About 70% of the population lives in poverty, making Madagascar one of the world’s poorest countries. Agriculture is the economic activity. Major exports are coffee, vanilla (Madagascar’s vanilla is considered the best in the world), sugarcane, cloves, cocoa, rice, cassava (tapioca), beans, bananas, peanuts and livestock products. The combination of unrivalled nature and a friendly population makes Madagascar a first class tourist destination. If you would like to read more about Madagascar we can recommend the website of Madagascar Travel | Community Tourism.